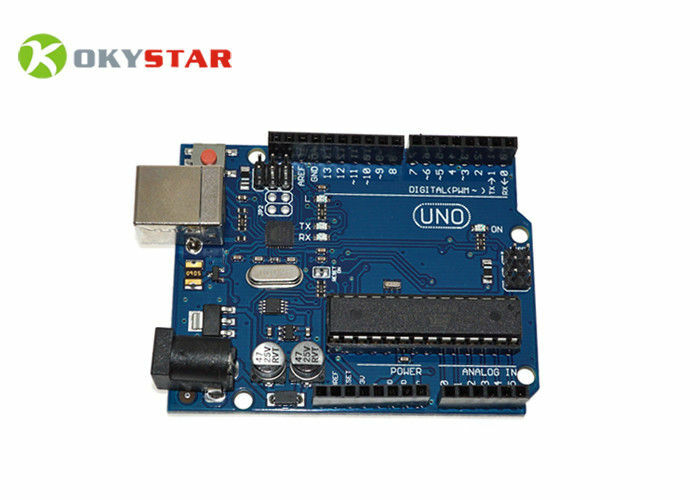 The UNO is a microcontroller board, based on the ATmega8/168/328, UNO R3 major in ATmega328. One USB connection and Power jack, an ICSP header (In Circuit Serial Programming) (like MAX232, RS232 programming). UNO R3 can be used with multiple modules.